The examples of Houdini being less than friendly, keep showing up. I'm not implying that he made a regular thing of it, but it did happen. A couple weeks ago I posted When Houdini Got Arrested. Now a regular reader of my blog has alerted me to another example. This time the year is 1925 and Houdini is summoned into court in NYC. But why? It turns out that there was a business in the city called 'Francis P. Houdina Company' at 1476 Broadway. The owner Francis Houdina was an electrical engineer and inventor. His mail, and Houdini's mail often got mixed up which is how Harry Houdini found out about them. 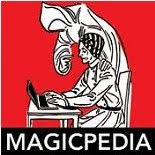 Houdini assumed that the electrician was trying to capitalize upon the magicians name and fame by using a name which sounded similar. One hot July evening in 1925, Houdini burst into the offices of the Francis P. Houdina Company and accused them of unlawfully using his name. 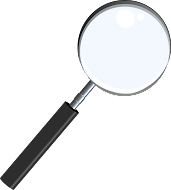 The newspaper article says 'he tore from a packing case a tag addressed 'HOUDINI', the complaint says'. They demanded he return the tag and he refused and that is when a scuffle broke out and property was damaged, by Harry. A few days later, George Young, the secretary of the company, presented Harry Houdini with a summons just before he was about to go on the air at WOR Radio in New York. He was being charged with disorderly conduct and destruction of property. Mr. Young had two policemen with him when he served the summons, probably a smart move on his part. Houdini began a heated argument with Mr. Young and Young accused Houdini of disgraceful behavior. 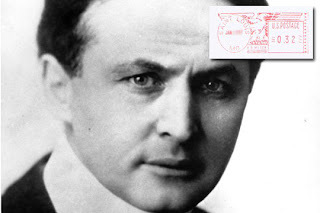 Houdini followed with "I would have been killed if I had not used force to get out of the office." Following this altercation at WOR Radio, Houdini did go on the air and spoke for fifteen minutes about his on-going fight against spiritualist fakery. Houdini did appear in court and the charges were apparently dropped because no one from Francis P. Houdina Company showed up. All of this began because the post office initially mis-delivered mail belonging to Houdina and Houdini, which alerted Harry to the similarity in names. *Thanks to Ron for the heads-up on this article! UPDATE: Just learned that this story is actually false. Please read 'Clearing the name of Houdina' to find out the actual story. I think I read about this incident. I wonder if the Houdina outfit got any of Harry's mail? I guess if they did they weren't saying. I've been re-reading Silverman's book "Houdini!!!" and just read about this incident the other night in there. You know, someone on my blog pointed out that Houdini appears to have a cut on the bridge of his nose during the Shelton Test. Maybe he got this in the Houdina incident? What's the exact date, Dean. Late July? John, Frances p Houdina was not his real name as George young also was not his real name! They were 18 years old and from Wisconsin. They did not beat up on Harry Houdini. Go to Francis p Houdina time magazine 1925.This was two weeks before the office incident. Houdini also owed a movie company. Both were staged! The chapter in the book does not tell the real story! Francis p houdina was my father. The two radio controlled cars came from Achen Motors in Milwaukee, Wisconsin where Houdini had relation. Some believe Houdini was poisoned by spiritualists, F.W.B. Achen who owned The Chandler Motor co. was Known as Doctor Achen. A lot more untold to all of this. Hello. Here are a few related articles from The New York Times. So this was late July. Yeah, I bet those cuts we see on Houdini's face in the Shelton photos happened here. Oops! This is 1925. I was thinking 1926. Disregard.